Instagram-perfect swimwear for teens. Find the one you love: one-piece bathing suits, tankinis, and bikinis. Here’s a collection of 15 cute swimwear for summer 2018. You have probably got your beach vacation planned. Now it is time to plan for the outfits. Girls, if you are going to take tonnes of photos, it’s important to invest in a good-looking swimsuit. Spending time in the sun is more fun dressing in a stylish swimsuit you are comfortable with. 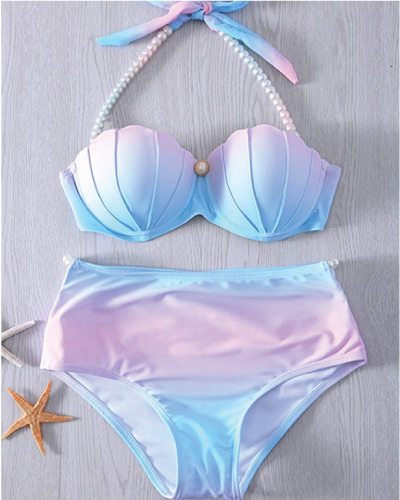 Let’s take a look at these sweet and trendy swimsuits suitable for teen girls. Take a look at more cute summer outfits on Pinterest!